Here it is, folks, thanks to funding from Riverina Local Land Services (LLS); a 16-page summary booklet of what we’ve learnt after three rice-growing seasons. It’s a 5 MB pdf download. 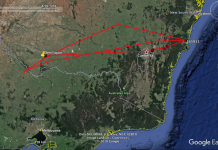 Hard copies are available from the RGA office in Leeton, as well as Riverina LLS offices. 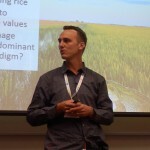 There are plenty of photos, quotes from rice farmers and it includes sections on population size, breeding, bittern friendly rice, satellite tracking and other significant wildlife using rice. 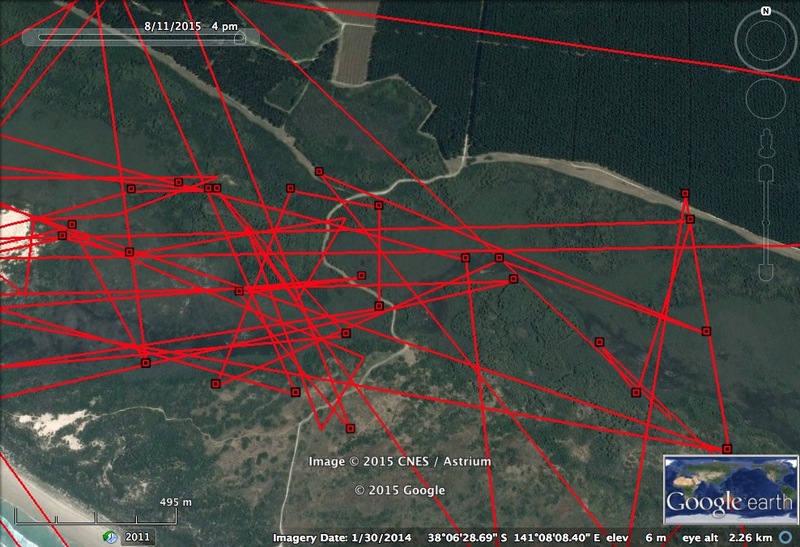 Robbie has now been at Long Swamp for over three months. That’s a big tick of approval for the restoration efforts (see August update here). He’s still about 550 km from his birthplace in the rice where he spent the first half of his life so far. 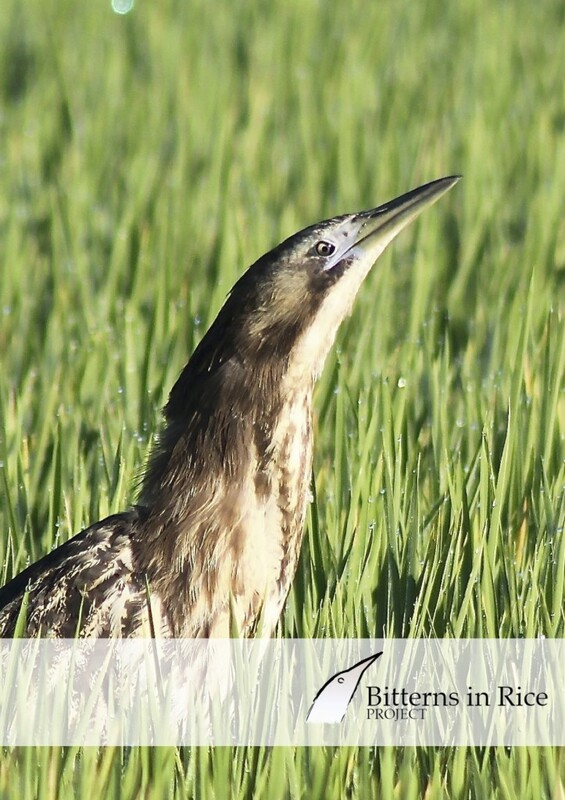 Although spring hasn’t quite sprung, the breeding season is fast approaching and there are already booming males in other parts of Australia and in New Zealand, but it’s still a few months before the rice season is in full swing. 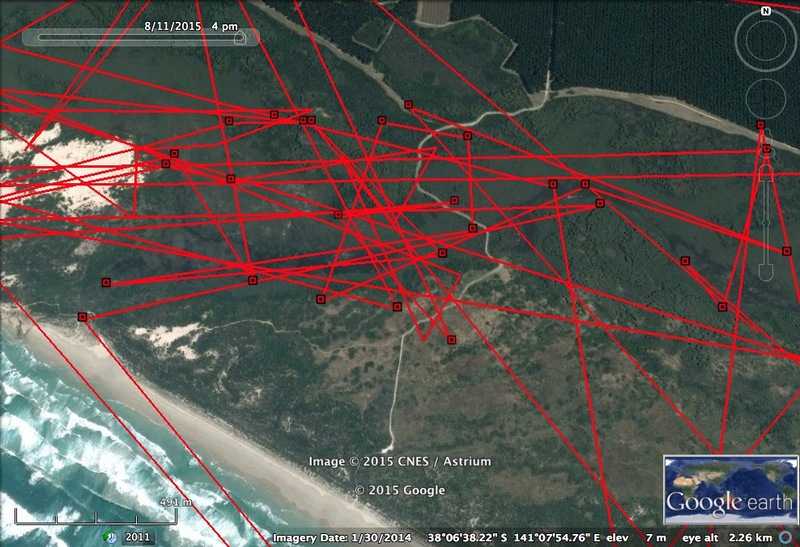 Some of Robbie’s recent movements at Long Swamp; July/August 2015. 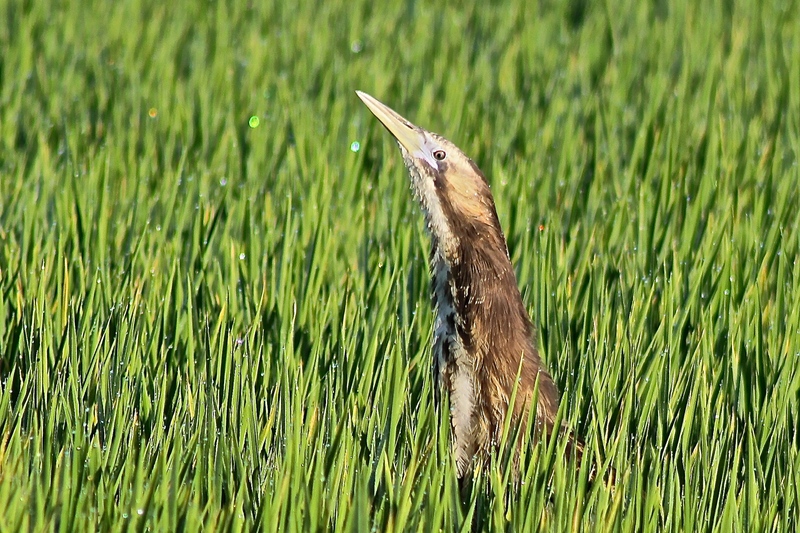 The burning question remains; will he stay on the coast or return for the next rice season? I almost obsessively check on his whereabouts, anticipating a big movement as spring approaches but he may well stay put, embracing the coastal life. If he’s an early starter and breeds in his first year, he’ll get the magnificent blue breeding flush, like the New Zealand male pictured below. Over the coming months, we hope water allocations rise sharply and that as many Riverina irrigators as possible choose rice. 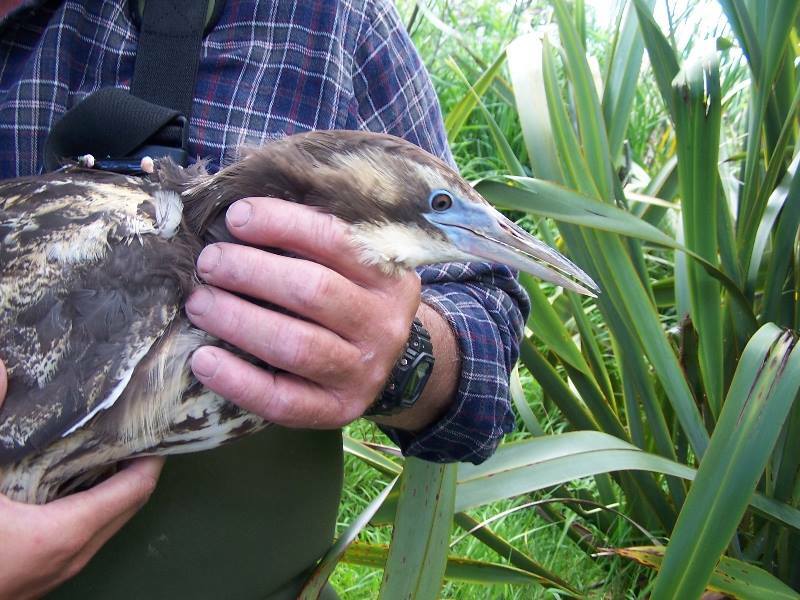 A breeding male from New Zealand, one of the birds Emma Williams has been radio tracking with Massey University and the Department of Conservation. Photo by John Cheyne. 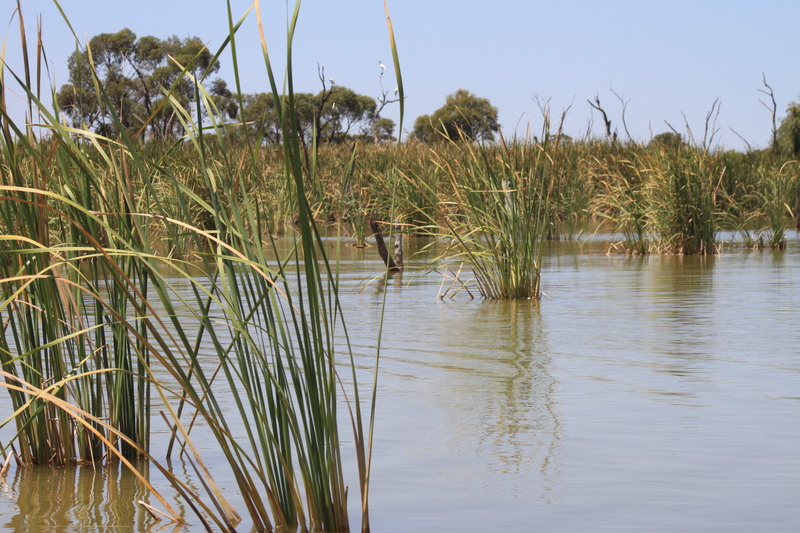 The latest edition of Wetlands Australia: National Wetlands Update from the Australian Government’s Department of Environment has just been published. 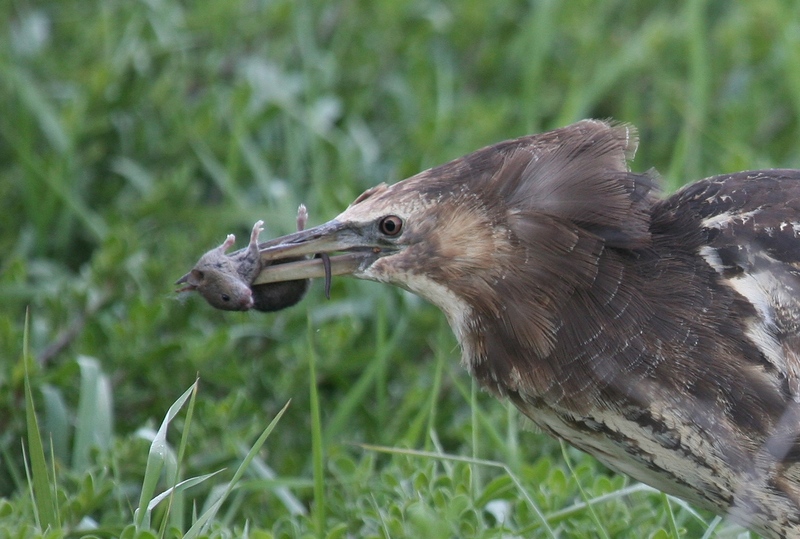 It features our project with the article, “Bitterns and rice: still on the conservation menu”. 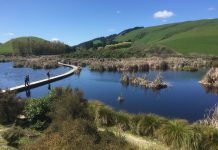 You can read it and catch up on the great wetland work happening across the country here. Our steering committee met in Coleambally recently. 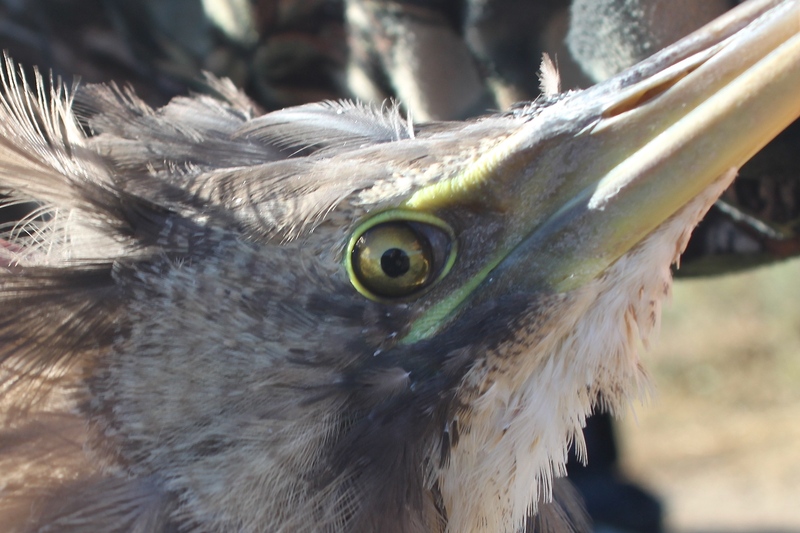 Among other things, we discussed the plans for next season where we’ll be looking in detail at sowing methods, water management and bittern prey. There were a few apologies but below you’ll see most of the people that make the Bitterns in Rice Project happen, together with the rice farmers themselves. 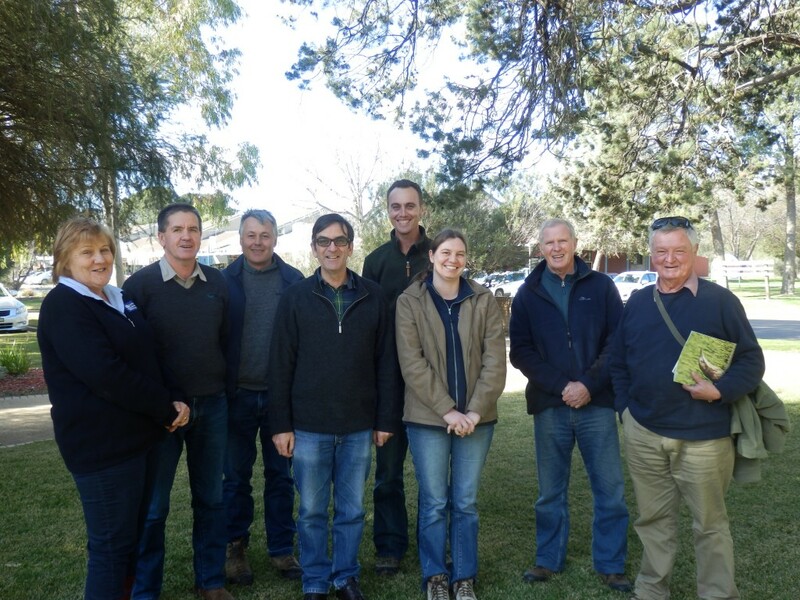 From left to right; Anna Wilson (Riverina LLS), Mark Robb (Coleambally Irrigation), Andrew Silcocks (Birdlife Australia), Neil Bull (Ricegrowers’ Association of Australia), Matt Herring (Murray Wildlife), Kimberley Beattie (Murrumbidgee Landcare), Keith Hutton (Wildlife enthusiast) & Max O’Sullivan (Murrumbidgee Field Naturalists Club). Let’s hope there will be enough water for rice irrigators to plant big this year. Looking forward to the coming season. Hope Robbie returns to southern NSW.